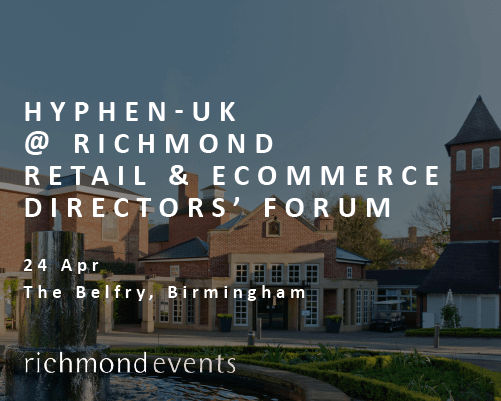 On 24th April, Hyphen-UK will take part in the Richmond Retail & eCommerce Directors’ Forum, to be held in the impressive setting of the Belfry Hotel in Birmingham. 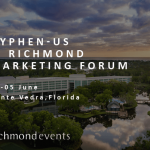 The events organized by Richmond are specifically for business matching. 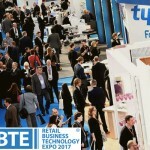 On this occasion, the Richmond Retail & eCommerce Directors’ Forum will create meetings for more than 50 leading service providers in the sector with over 100 decision makers, including Directors of Trade, Retail and E-Commerce. During a series of one to one meetings, we will present how we offer analysis and strategic consulting to review internal processes for producing communication materials from a perspective of continuous improvement and resource optimization. Chosen by many companies and Brands in the Fashion, Luxury Industry and Retail sectors, our HSL and Chalco.net solutions allow our clients to manage more efficiently all the processes for creating omnichannel promotion and sales materials (instore, posters, press, radio, E-Commerce, marketplace). Our solutions increase the efficiency of every phase of the process, from managing content through to designing, producing and delivery materials. Will you be coming to the event? Then make sure you book an appointment with us. We’ll be happy to meet you. For further information about our solutions, please write to us at info@hyphen-uk.com.